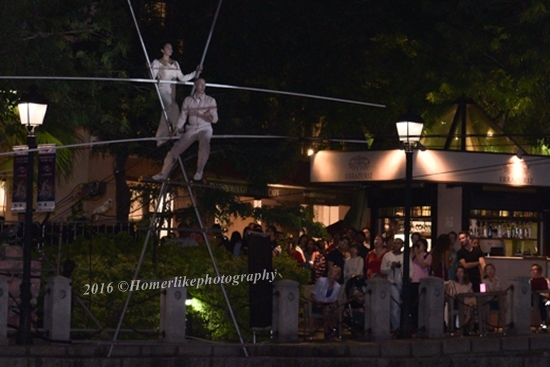 Headlining this year's Singapore River Festival 2016 is the French spectacle tightrope performance group, Underclouds Cie, who will be performing their brand new show - Crossing - for their very first performance in Asia. 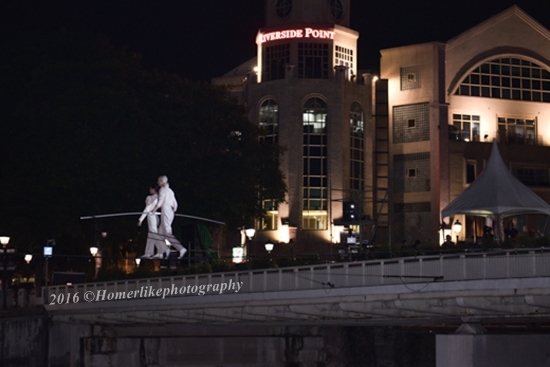 Inspired by the past stories of the Singapore River, where it has evolved from a bustling trade port to a lifestyle and cultural precinct, the one-of-a-kind world-class production of Underclouds Cie will see a tightrope extended across the river for the first time in its history and their show told in dazzling poetic choreography, heightened with music effects and multimedia projections. 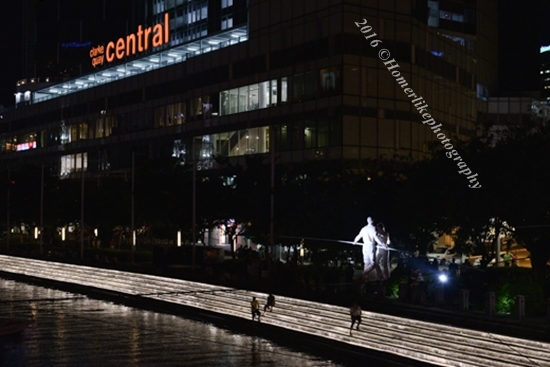 This spectacular performance certainty fits this festival's theme of “River Connections”, where Singaporeans celebrate our culture, lifestyle and history of the Singapore River and Huney'Z World has been privileged to be one of the first in Singapore to catch the French group rehearsing the night before the grand opening later today. 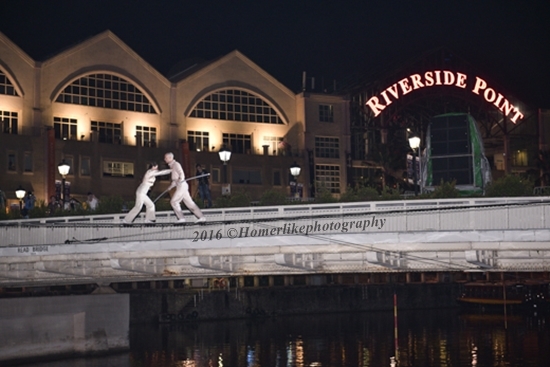 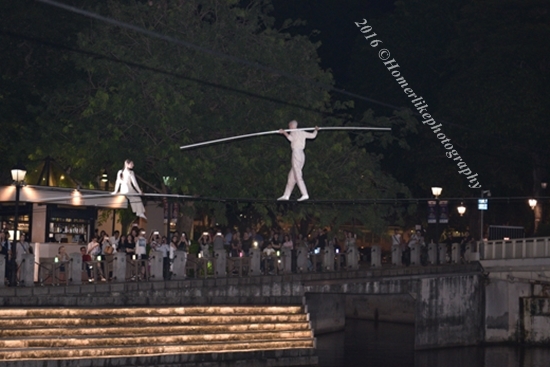 Be sure to catch the husband-and-wife tightrope artistes, Mathieu Hibon and Chloe Moura, walking back and fro, seat and stand, across Singapore River at Clarke Quay on 4th to 5th November 2016 at 8.00 pm and 9.30 pm on both nights. 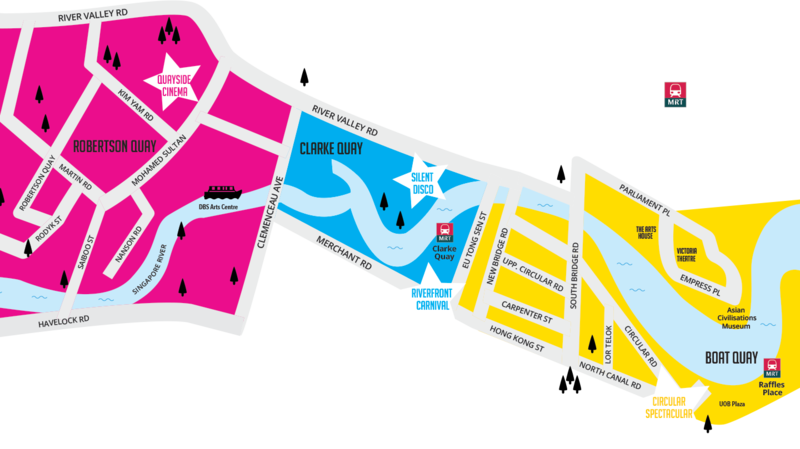 For more information on other performances and their schedule, please check out the festival webpage at www.srf.sg.